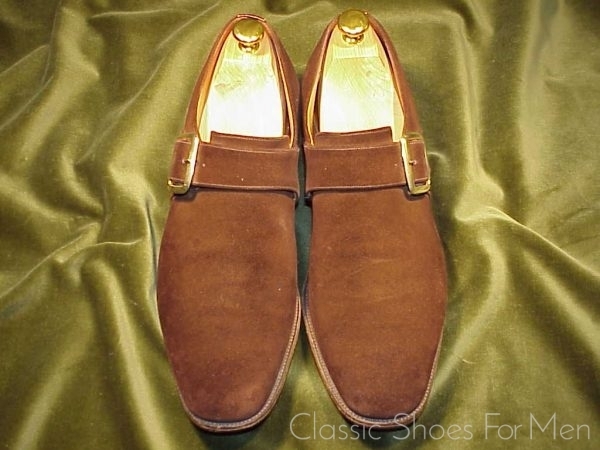 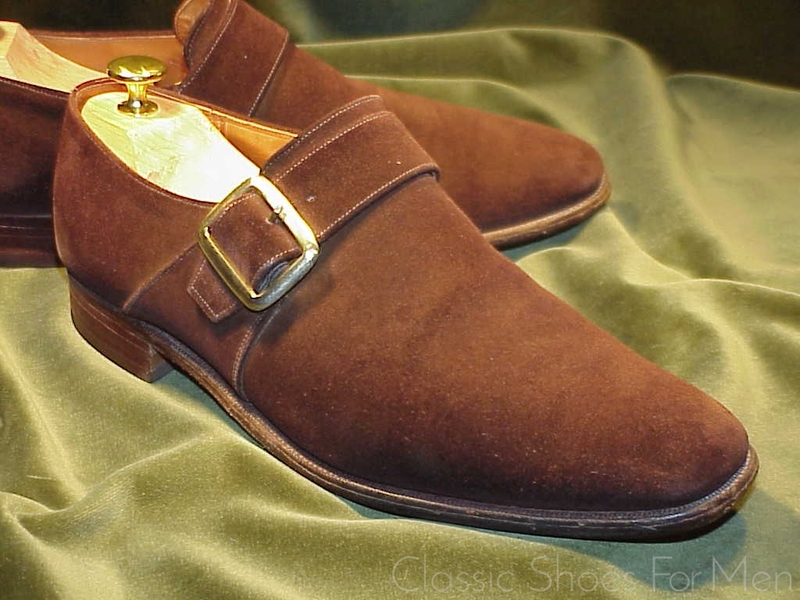 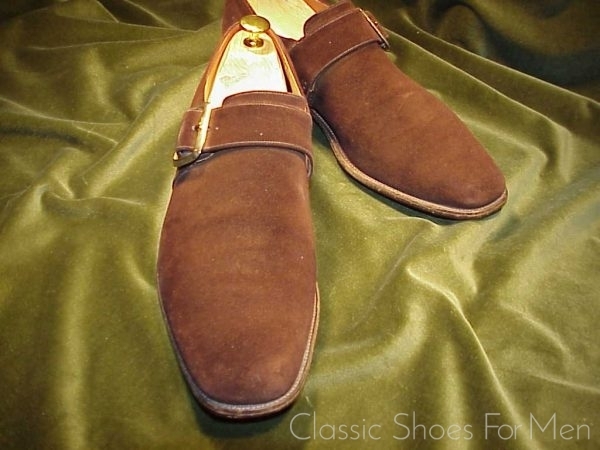 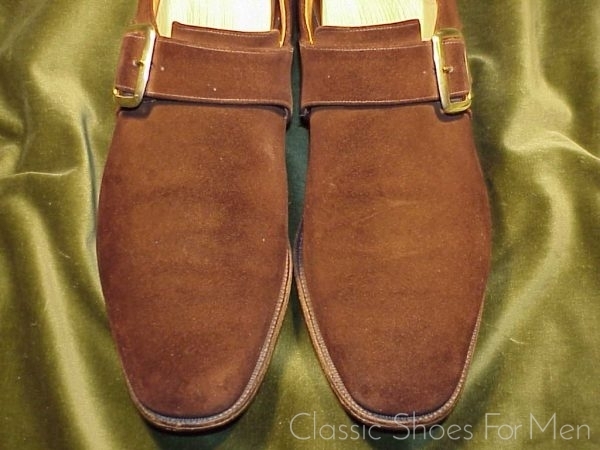 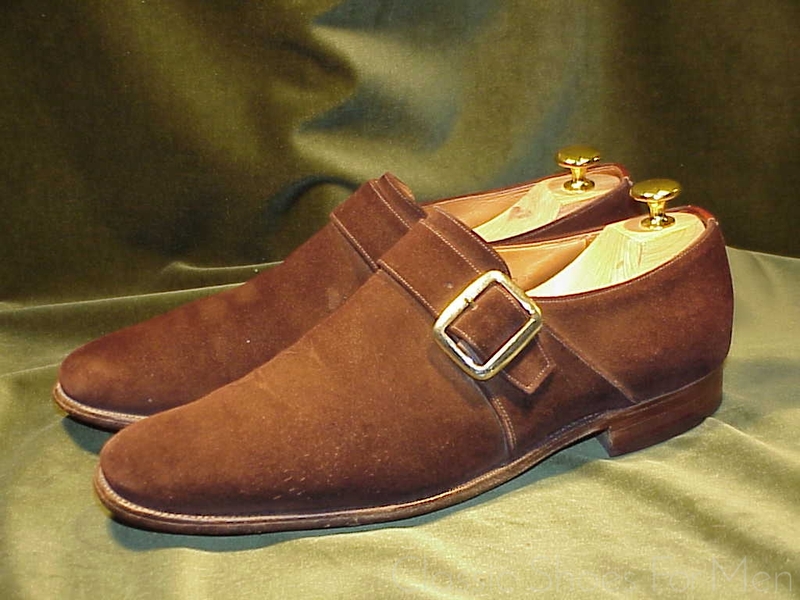 Church’s Brown Cape Buck Suede Monk is one of the greatest English classic shoes. 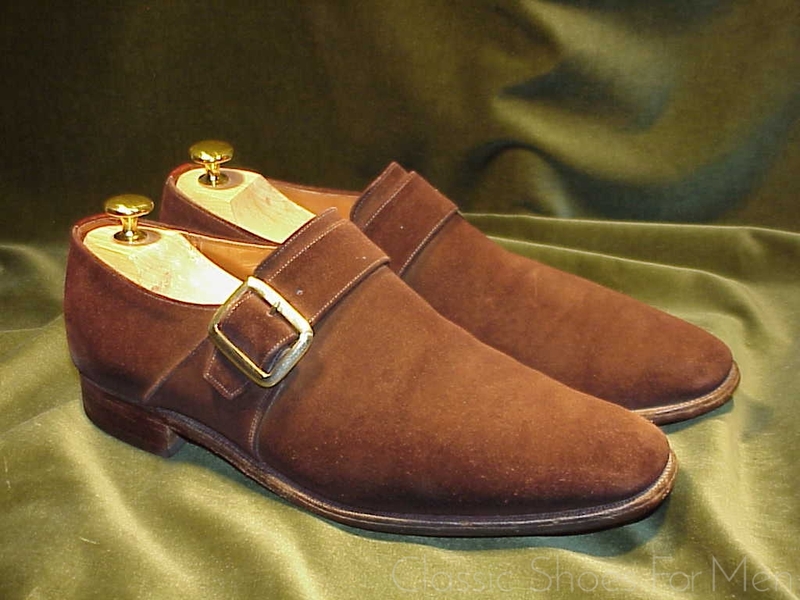 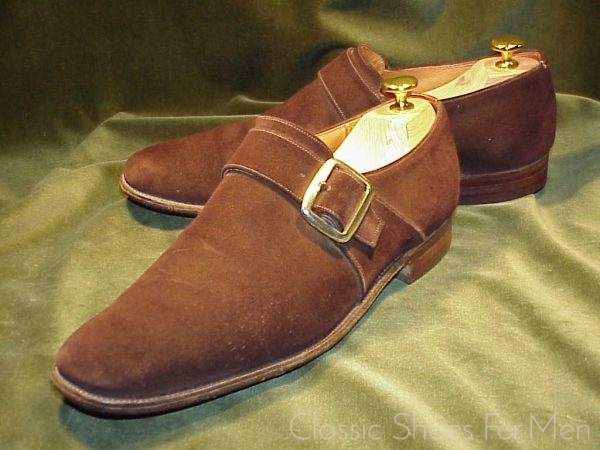 Every good shoemaker offers a brown suede but let there be no doubt, Church’s Cape Buck Monk Strap and their Full Brogue Oxford set and have set the standard for suede shoes for 50 years. 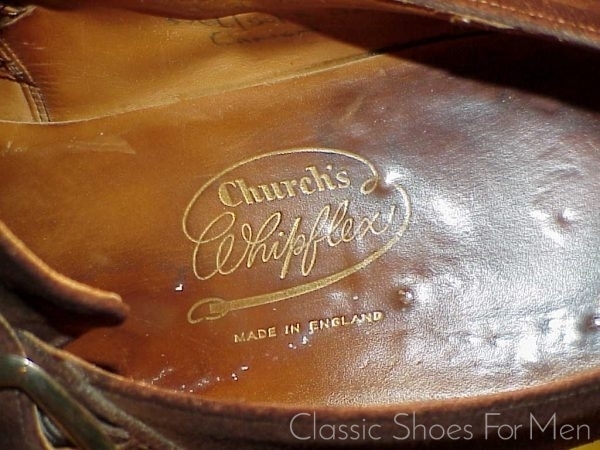 The “Whipflex” of the 1950’s preceeds the “Custom Grade” as Church’s premiere product. A great shoe! 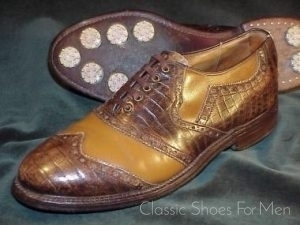 Marked 10.5C/D (for the US market) thus a Continental 44D, correct for the medium width foot. 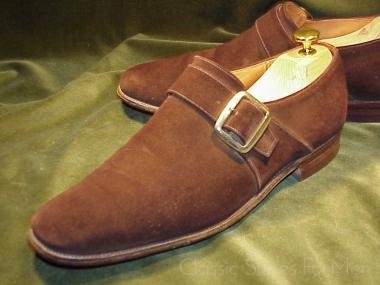 Today's equivalent shoe is in the $600-plus range. 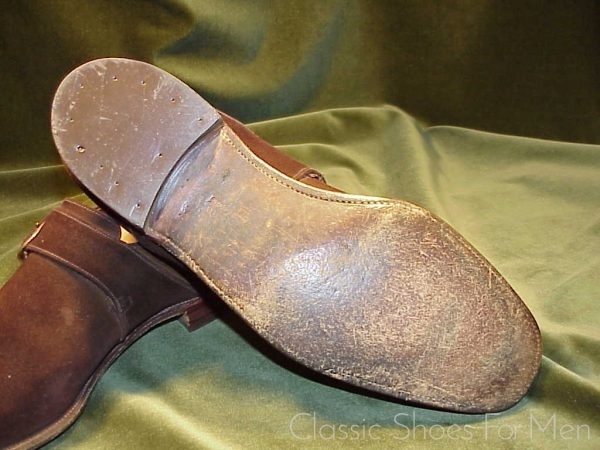 Original soles showing modest wear, heels renewed. Tops showing imperfections. 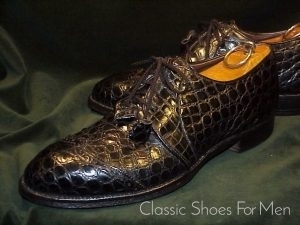 Die Größe ist in englischer UK 9.5E, was einer deutschen Größe 44Dentspricht; für den mittel-breiten Fuß. 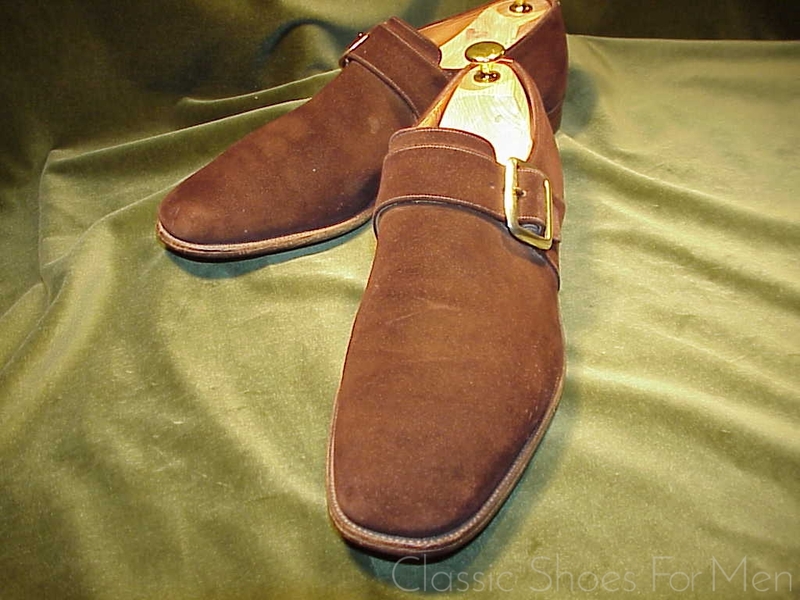 Der Zustand Original Sohle leicht getagen, Absatz neu.